You'll find plenty of places to visit near Savannah: Hilton Head (Waterskiing & Jetskiing, Speed Boats Tours, & more), Tybee Island Beach (in Tybee Island) and The Church of the Cross (in Bluffton). 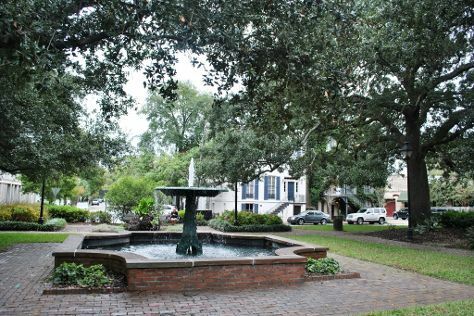 There's much more to do: wander the streets of Savannah Historic District, get thoroughly spooked out with a ghost and vampire tour, explore the different monuments and memorials at Bonaventure Cemetery, and tour the pleasant surroundings at Henry C. Chambers Waterfront Park. To see more things to do, traveler tips, reviews, and other tourist information, read our Savannah tour planner. In August, daytime highs in Savannah are 89°F, while nighttime lows are 74°F. Wrap up your sightseeing on the 24th (Sat) to allow time to travel back home.